- "Passing On" (part 4). 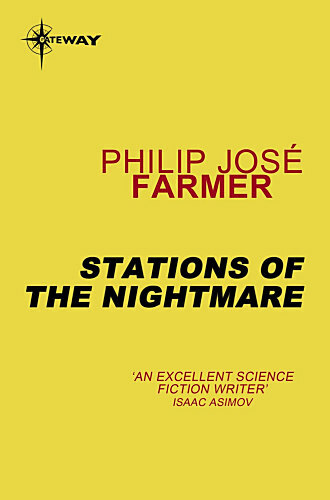 Also included is the short story "Osiris on Crutches" by Philip José Farmer and Leo Queequeg Tincrowdor. Tincrowdor is introduced in the novel as a fictional author. DEDICATION: "This is for Bill Rotsler, the bushy-bearded Bull of Bashan and Calid Caliph of California". Interior illustrations by Peter Kuper. Interior illustrations by Peter Kuper. This book states to be the first edition of February 1982, it is the second printing however. The book has a second cover with a full illustration. The book has been printed from the same plates as the 1982 edition from Presses de la Cité. On the title page is still the name of that publisher printed and the title Station du cauchemar.